If you design your commercial awning the right way, it can be a great, unique branding tool for your business! Your commercial awning can do way more than just provide a nice aesthetic for your building’s exterior. 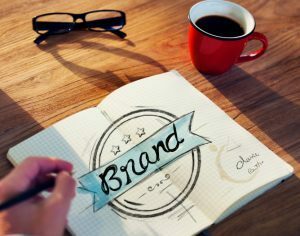 In fact, it can be used as a great branding tool to really get your business out there. Awnings are a unique way to make your business stand out and bring more people in. Here are some commercial awning design tips that will help you enhance your brand. It’s not always about what you say, but how you say it. The same goes for designing and executing your commercial awning. You want to make sure any words displayed on your awning are done so in a nice font that is easy to read and reflects the values of your business. If you are running a bakery, pastel colors and a fancier font might convey the message better. For something like an accounting firm, you may want to stick with more neutral colors and basic fonts. This also helps to enhance your brand recognition because people will associate your awning design with your business. When it comes to your commercial awning design, you want to keep it simple. Simple does not have to mean boring. On the contrary, a simple design can really catch the attention of people passing by and make them more inclined to read your awning. Make sure the awning compliments any other signs or materials you have outside of your business. You want to keep messages at seven words or fewer so that you don’t overcrowd the space. It’s also a good idea to use one consistent color scheme or graphic choice. Too much in one area can overwhelm people and make them not want to read what your awning has to say. This is a unique feature that you don’t see very often. Lighting up your awning allows it to be visible at all times of the night so your advertising doesn’t stop once the sun goes down. A lit up awning is sure to draw people’s attention when they are walking or driving at night time. This is also great for businesses that may be in areas that are harder to find. Contact Carroll Awning Today for Your Commercial Awning!